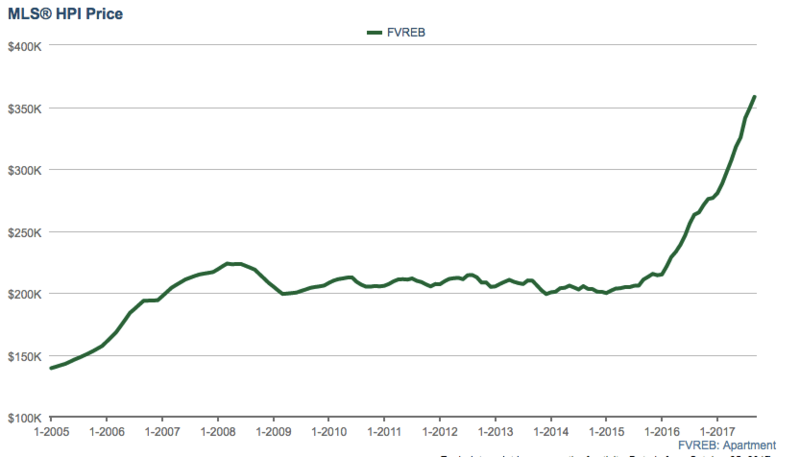 Condo prices across Vancouver continue to push higher towards ever dizzying heights. In September 43% of all Vancouver condos sold above asking price, a slight drop off from previous months. However, much of the activity appears to be shifting towards the suburbs. Fraser Valley condos are being driven up to new heights, with locals squeezing each other out, eagerly trying to get their foot in the door. This ‘drive to qualify’ has pushed the MLS benchmark upwards of 35% this year. If that wasn’t evidence enough of just how detached from reality things have become, the following charts should help. 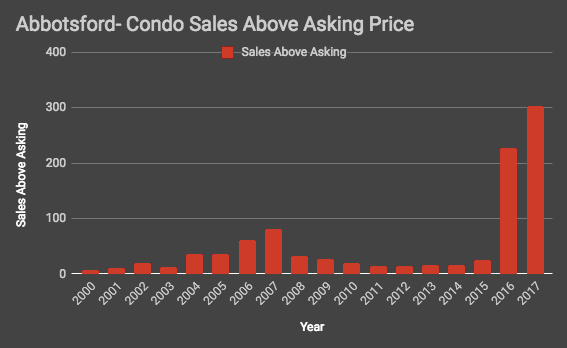 Here is the total number of condos sold above asking price by area. 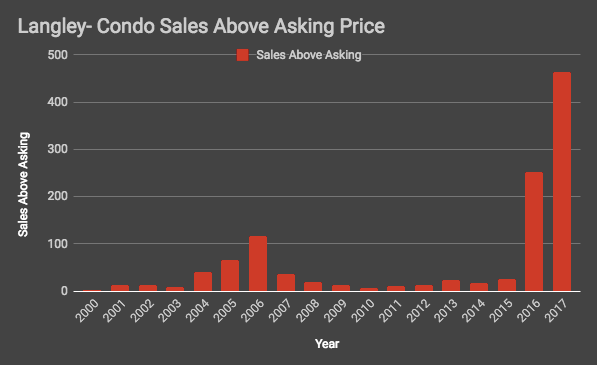 Abbotsford condo sales above asking price. Langley Condos Sold Above Asking Price. 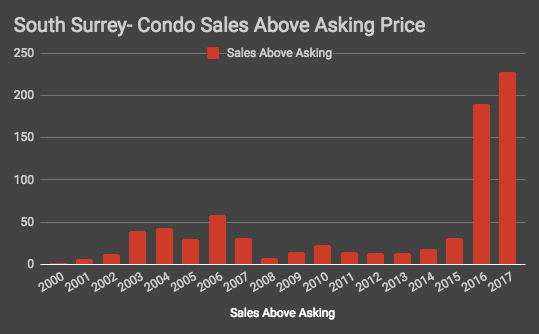 North Surrey Condo Sales Sold Above Asking Price. 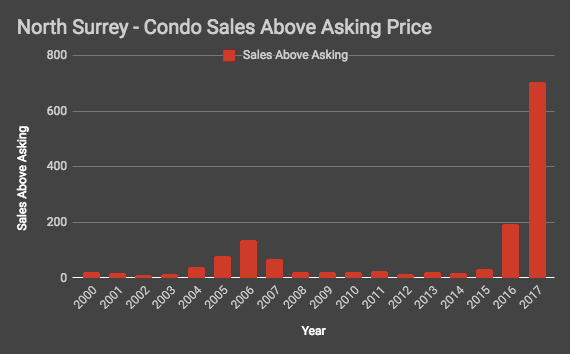 South Surrey Condo Sales Above Asking Price.